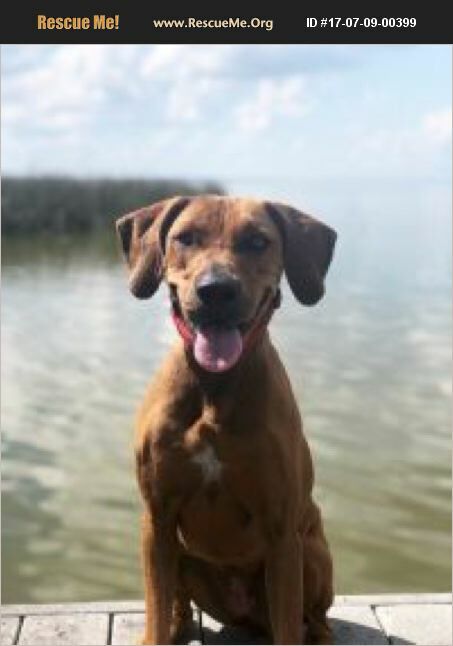 Ruby is a beautiful and friendly Red Bone Coonhound that was taken off the street by a person who already has 2 large dogs. She is a very sweet dog who loves being around people. She gets along well with most other male dogs and loves to run and play but can be selective of which female dogs she likes. Ruby desperately needs her forever home with a family who will love her. She rides well on the golf cart and in the car, she is a beautiful young lady with a stunning coat and gorgeous eyes! If you would like additional information on Ruby, please email us at rufftimesrescueadoptions@gmail.com. If you are interested in meeting her, please go to www.rufftimesrescue.org to fill out a pet of interest form. We will get in touch with you to set a good time for you to meet this lovable smart girl!